Subaru vehicles like the 2016 Outback and Forester now have something in common with BMW, Mercedes, Bentley and Rolls Royce. iBiquity Digital Corporation, the developer of digital HD Radio has announced that Subaru will now have HD Radio receivers standard across all vehicles in the automaker’s lineup. Popular models like the 2016 Subaru Outback and Forester will now come equipped with HD Radio and is currently available now at dealerships across the country. Subaru, a small automaker building multi-purpose all-wheel-drive vehicles, doesn’t have anything in common with major luxury brands around the globe until now. The new Subaru Outback and Forester joins vehicle automakers like Bentley, BMW, Mercedes Benz, Tesla and Rolls Royce who have made HD Radio receivers standard across all vehicles in their lineup. The growing list also includes Mini, Scion and Volvo. These automakers have HD Radio in more than 200 models of vehicles. Subaru just recently added STARLINK in-vehicle technology in the new Outback and Forester and it now comes with Stitcher which is an entertainment audio programming that features on-demand news, sports with access to more than 40,000 radio shows, live radio stations and podcasts from sources including CNN, Fox, NPR, CBS, AP and The Wall Street Journal. Subaru is an all-wheel-drive specialist building cars for people who want to get away from civilization and didn't have anything in common with major luxury brands around the globe until now. 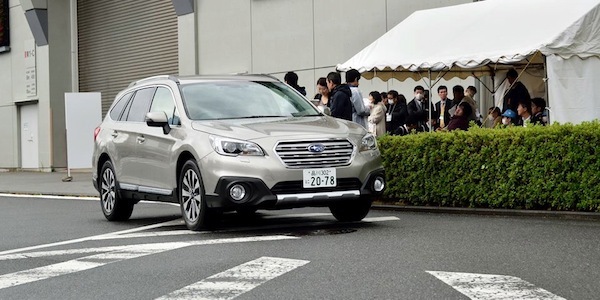 Subaru now joins the ranks of automakers like BMW, Mercedes, Tesla and Rolls Royce and now offers HD Radio in vehicles like the 2016 Outback and Forester.